Product prices and availability are accurate as of 2019-04-22 16:21:48 UTC and are subject to change. Any price and availability information displayed on http://www.amazon.com/ at the time of purchase will apply to the purchase of this product. Please check and confirm the package content and the price before buying.Any questions,pls contact us immediately.Thanks. 1. Please understand due to the light and screen difference, the item's color may be slightly different from the pictures. 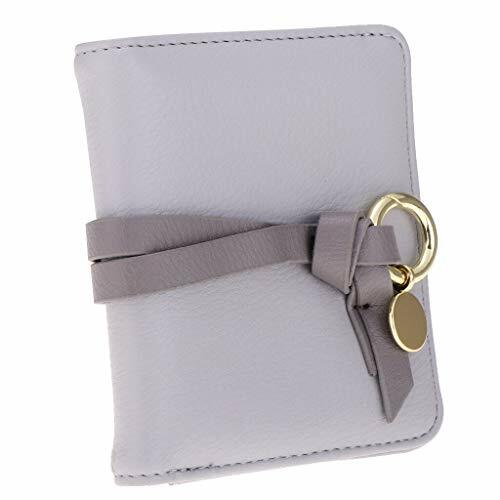 Style: Bifold Wallet / Clutch Material: PU leather Structure: 1 Cash layer, 4 Credit Card Slots, 1 Photo Place Size(L x W x H): Approx. 11 x 10 x 2cm/ 4.33 x 3.94 x 0.79 inch Please check and confirm the package content and the price before buying.Any questions,pls contact us immediately.Thanks.